It's hard to criticize Hoku Ho's recordings for Geffen in 2000 and 2001. The chart success of "Another Dumb Blonde" in 2000 made her one of only 13 local artists to appear on any of the six major Billboard charts since 1954. A follow-up, "Perfect Day," was the theme of the 2001 film soundtrack, "Legally Blonde." With that foundation to build on, it's no surprise that the songs on her new five-song EP, "Listen Up," are all solidly crafted mainstream pop. The big difference this time is that she has full creative control. And so, Hoku reintroduces herself with five original songs -- three co-written with her co-producer and primary studio musician, Jim Roach. There's a little bit of Beyoncé here, a touch of J-Lo and perhaps a hint of Wilson Phillips, but no sense of blatant copycatting. She opens with an expansive declaration of feminine independence ("If You Don't Want My Love") and then speaks for lucky couples everywhere with "Saturday Morning." The triumphant chorus of the latter quickly becomes a memorable hook. 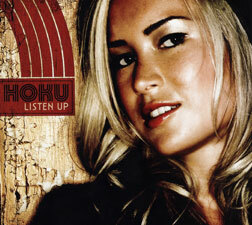 Hoku goes seductive with "Closer," and closes on a sweet yet powerful note with the title track. Her closing message of hope in a love supreme touches the heart and soul. Individual songs are available on iTunes; the EP is at www.hokumusic.com. "If You Don't Want My Love"
Daniel Ho has made history as the Grammy Award-winning producer of two economically packaged "live" compilation albums. He gives back to Hawaii here with this thoroughly annotated collection of 19th-century chants written in honor of Queen Kapi'olani. 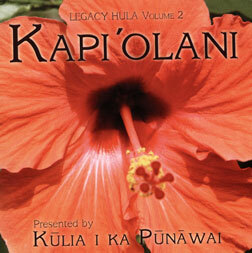 Kulia I Ka Punawai, an association of hula halau in Southern California, honored Kalakaua with its first compilation album of historic chants last year. This one is produced to the same high standards, and in some respects it is even more important. Kalakaua has long been recognized as an accomplished songwriter as well as a staunch defender of Hawaiian culture. "Kapi'olani" reminds us that she, too, played an important role in the social and cultural life of Hawaii. One set of eight chants -- known collectively as "He Lei No Ka Mo'i Wahine Kapi'olani" -- dates from Kalakaua's coronation in 1883. Two shorter sets of chants commemorate royal visits to Waimanalo and Kaua'i. All are noteworthy. Although this album will appeal primarily to students of hula and chant, its historical significance makes it worthy of a place in any collection of Hawaiian music. "Mele Hula: E Kuini E Kapi'olani"
"Mele Lei No. 1: Aia i Haili ko lei nani"
"Mele Inoa No. 1: Hanohano Hanalei i ka ua nui"
Stress levels are rising on Oahu these days. Schools are back in session and "rush hour" seems to extend nearly all day. Consider that section of the H-1 from the infamous Middle Street merge to the Punahou Street overpass, where traffic going Koko Head seems gridlocked almost 24/7. The 31 minutes of light instrumental music on this album are a welcome antidote. 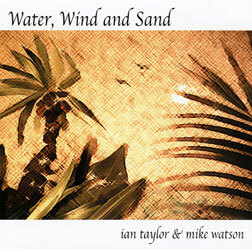 Ian Taylor and Mike Watson describe their work as "music for relaxation." Taylor is the resident composer; Watson the primary musician. Electric keyboards provide the soothing foundation. Sax, flute, guitar and percussion add textures and make these recordings more than "new age" ambient noise. "Urban Myth" suggests the energy of a modern city as viewed from a comfortable distance. The interplay between percussion, keyboards and flute on "Sun Flute" makes it worth several attentive listenings as well.